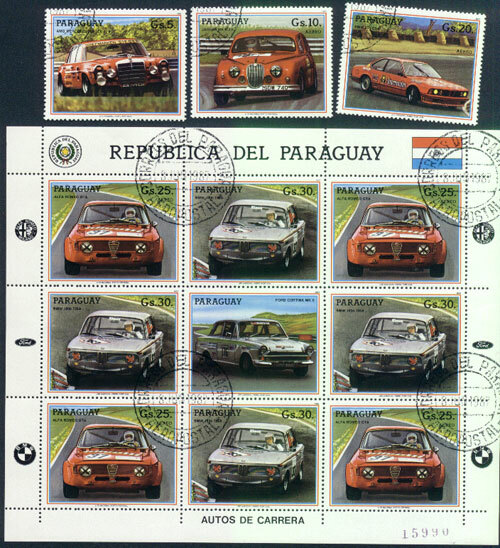 I have only found one of these sets, and do not have much information about them. They were apparently printed in Portugal (look carefully at the close-up) but I don't know when. 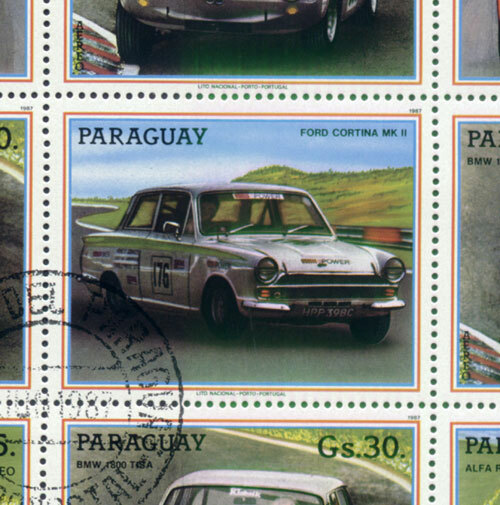 Also they have some incorrect information- what is listed as a "Ford Cortina MKII", seems to be an "air-flow" Lotus Cortina MKI, judging by the green flash, and the circular Lotus grille badge. See below. The set is only available through collectors.